Last week I railed against the “Dangers of Marketing Automation.” To provide some balance, I’m following up with my favorite automation tool, IFTTT. If you don’t what IFTTT is, it’s a powerful rules engine that let’s you automate simple tasks based on conditions. If THIS happens then do THAT. IFTTT is great for making your life easier, but it’s a powerful engine that can let you do stupid stuff. For example, for a while I was using IFTTT to wish people a happy birthday on twitter. Ideally this is great because I’m terrible at remembering birthdays. The problem is the messages are sent without any context or relevance. I didn’t get a chance to make a joke about a recent event. I could only say “Happy Birthday!”. Which seems so lame, especially for people I care about. Use automation where it makes your administrative life easier, but doesn’t connect with your audience. NO! This is a kitten killer. 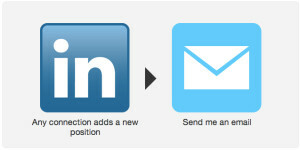 Each example is clickable and will bring you to the IFTTT page with details on the task. Ugh, where is my iPhone? 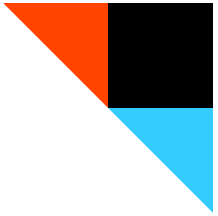 If you haven’t tried IFTTT, then get started. If you do you use IFTTT, share your favorite recipe in the comments.